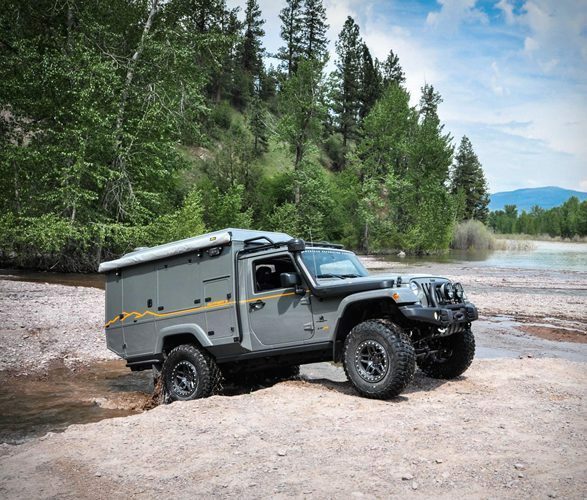 American Expedition Vehicles is always trying to create the best Jeep camper conversion on the market, and we’ll be honest, we think they’ve done just that. 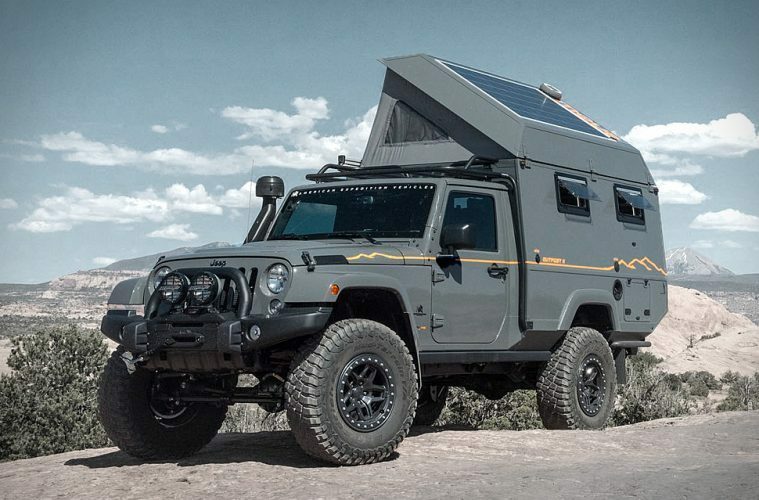 Their AEV OutPost II Camper is exactly the type of vehicle you would expect. 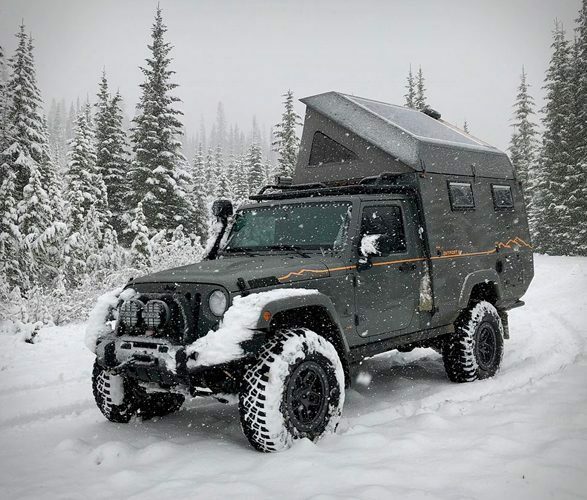 At its core, this is a Jeep Wrangler Camper unit that works extremely well, which is adaptable to any off road adventure you can think of chucking at it. 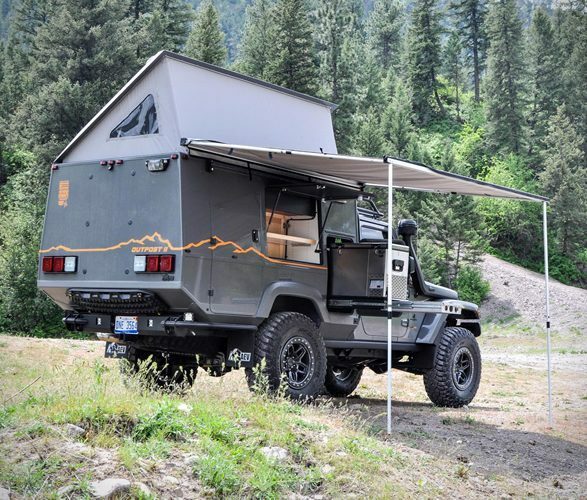 The thing that makes this Jeep Camper Conversion stand out is the sheer size of the vehicle to begin with. And the fact that you have a extendable roof on top, it definitely makes it rather appealing to campers who want to stand in their camper and cook. You have a complete camper here and that’s mounted to the Jeep Wrangler chassis. The thing to keep in mind here is that everything is added with the utmost attention to detail and it does bring in front a plethora of features without making the vehicle itself look too ugly and cluttered. People love this unit in particular because it’s powerful, resilient and the best part is that it’s super portable, meaning when you’re out with other vandwellers, living off the grid it can not only be your weekend home, but also your off road vehicle for tackling rock climbing, or crazy off road routes. You have a honeycomb composite material, as well as a top that opens up for a 45-degree angle. 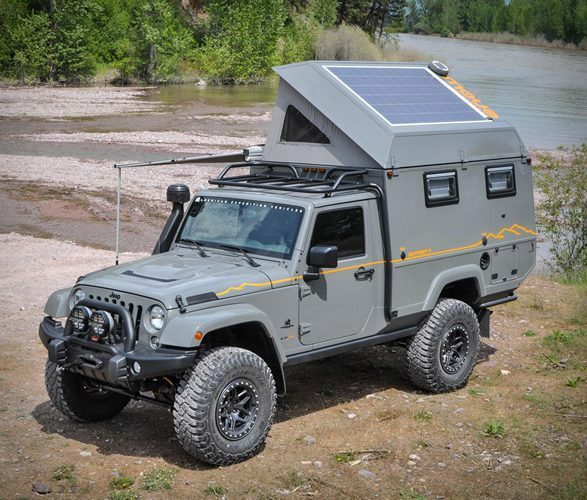 The roof for this Jeep Camper conversion has a solar panel, so it’s constantly charing all of your van life essentials. This means you can easily generate energy on the go without having to worry about it. Using such an approach is a stroke of genius, and it goes to show the uniqueness and professionalism that they exude here, they know what their van life customers want, that’s for sure. On top of that, the vehicle has high capacity shocks and springs. They also added a fortified stamped steel for both the front and rear bumpers of this vehicle. All of this adds up to bring in rewarding off road results, and it’s certainly going to pay off in ways you would not imagine in the first place. The wheels are obviously created for offroad use, so you will have no problem enjoying this great vehicle-home as you go camping anywhere you want. They also integrated some other nice stuff in the unit, like a winch, snorkel and so on. All these things add up to provide you with the quality and safety that you may need when taking it on trails. It’s certainly not going to be a simple thing to get used to the way this is compartmentalised. But once you get the hang of it, the Jeep Wrangler Camper can become an amazing camper unit that you can use at any time. And the additional space on the inside as well as all the other integrated features make it stand out in the long run. The interior has been crafted with ‘space’ in mind, they’ve added nice wooden featured, with a touch of black in plces. It features a nice sofa, cooking area, plenty of storage, and again, the pop top that all of the best pop up campers have. A truly, impressive conversion that not only looks like a monster on the outside, but a peaceful space on the inside, to get all of your digital nomad work done on the go. The Jeep Wrangler Camper is a one of a kind vehicle and you will surely enjoy it a lot. The quality is more than ok and it can totally bring in front some rewarding results no matter the situation. It’s certainly a good idea to give it a shot, and the ROI will be huge in that perspective no matter what happens. 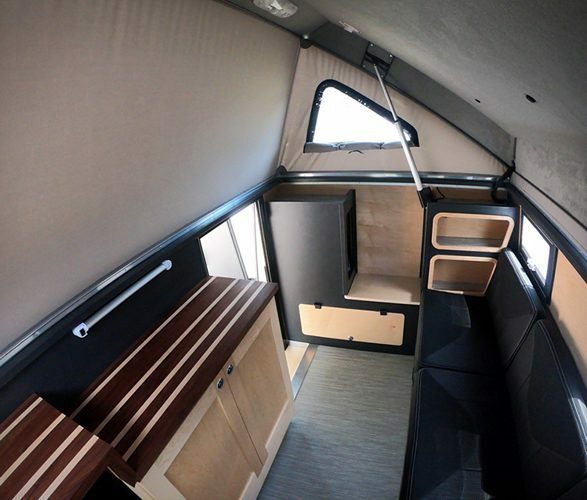 A lot of people love the Jeep Wrangler Camper because it’s a very nice and interesting unit. It offers you a tremendous value for the money, and the camping experience you can get with this vehicle is nothing short of the best out there! 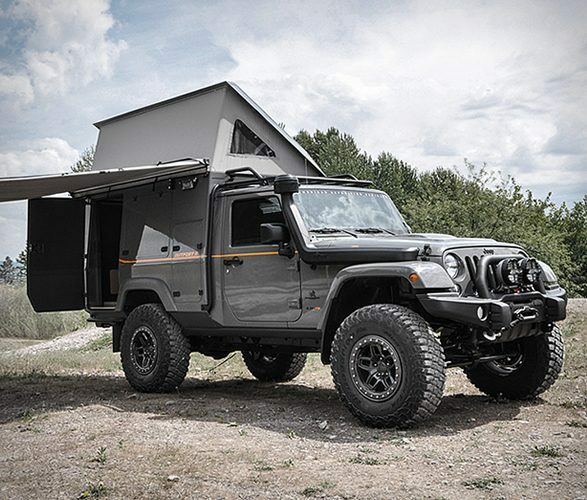 Another Jeep Camper that will blow your mind. This all terrain camper van will has more space if that’s what you need. Want something a bit more static? Then these tiny homes are for you.